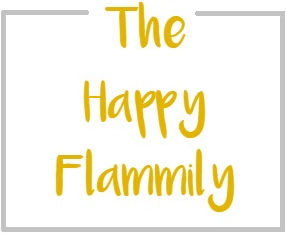 As is the trend with most things that I've written about in the last few months, I like to be very intentional about the things that I bring into our home. Our kid's Christmas stockings aren't any different. I don't like putting tons of treats in them because... we still have 10lbs of chocolate from Halloween. I like to give them things that are useful for our everyday lives, and are something that the kids can use again and again, long after the holiday is over. Hover and click over the image below to directly shop the products. One intentional thing that I love putting in stockings are BAND-AID® Brand Adhesive Bandages. They're on sale this week starting 12/17 at Target for 2 for $5, and they're one of those gifts that you can never have enough of around the house. Our kids are constantly getting hurt on something, and so it's nice to have extra BAND-AID® Brand Adhesive Bandages, especially since they're the #1 Dr. trusted brand to heal hurts faster. 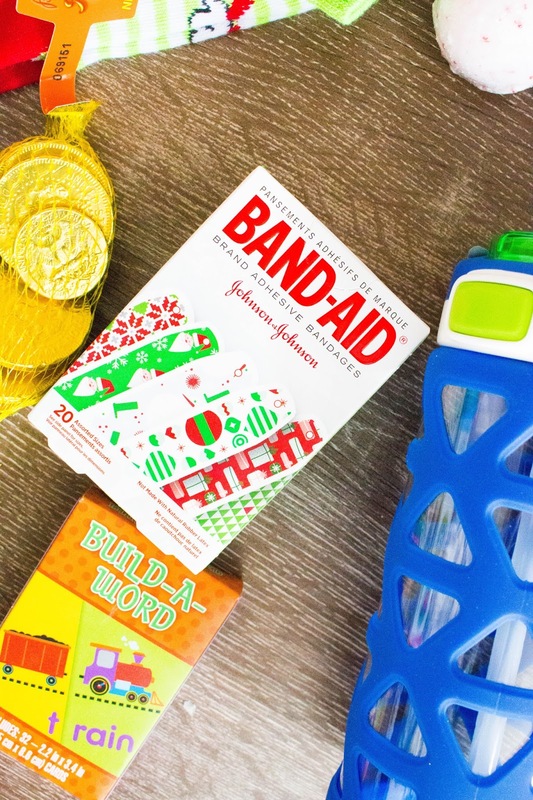 We purchased the BAND-AID® Brand Adhesive Bandages holiday collection, but they also have fun characters like Paw Patrol, or Star Wars for whatever your child fancies. 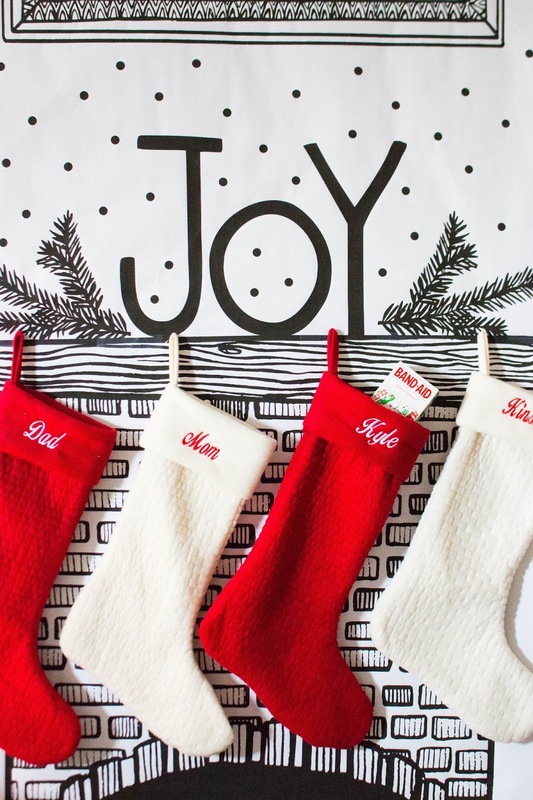 If you're in need of more stocking ideas, stick around for some more great tips. Water Bottles: Our kids run their water bottles into the ground. We usually only have one per kid in the house at a time so that I'm not washing a million bottles all day long, so that means the ones we have get a ton of use. I try to replace them every Christmas so that they can start the New Year off right with new bottles! Head Bands: With Em starting preschool this year we've gone through so many hair ties, bow, and headbands. It's always nice to put some more into her stocking to replenish the stockpile, and add a few new ones into the rotation. 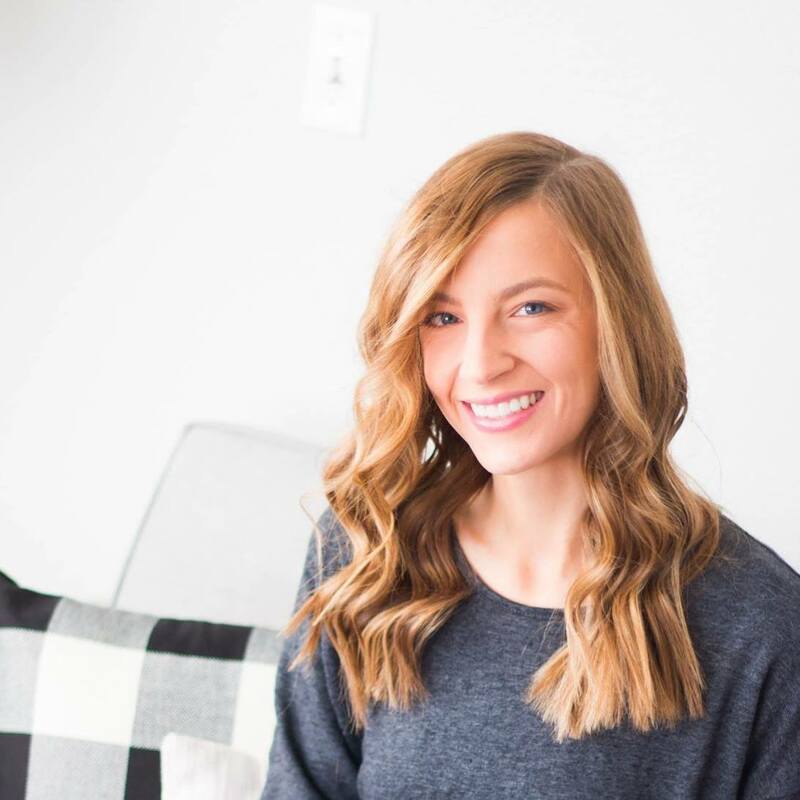 Bath Bombs: You guys know I love bath bombs, and my kids do too! I picked up these peppermint ones, and I know the kids and I are going to both love using them over the next few weeks! Socks: This is one of those little traditions that I've done every year, but I love getting the kids some fun new socks each holiday season. Educational Games: The Dollar Spot at Target is always loaded with fun games for kids. I like games like memory, or flash cards because it's a way to have fun, but also get their minds working too. Little Toys: I like to get the kids 1-2 small toys in their stockings. This year I got Jay a fidget spinner to see if it would help him stop picking at the skin around his fingers all the time when he's not doing anything. I'll report back on how it went. Chocolate Coins: I already mentioned that I don't like to put a ton of treats in stockings, but I do feel like one small thing, like chocolate coins is a Christmas necessity. The kids will love sharing and munching on these, but they'll be short lived, hopefully eliminating stomach aches and sugar highs. 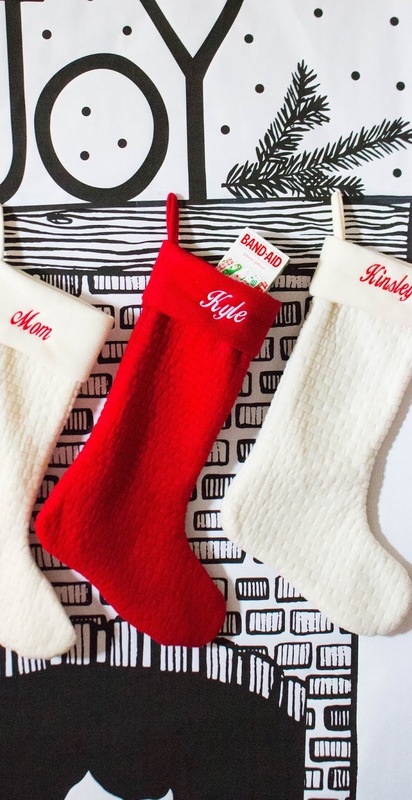 What are your go-to gifts for your kid's stockings? I always love some new ideas to switch things up each year! Let me know in the comments below! 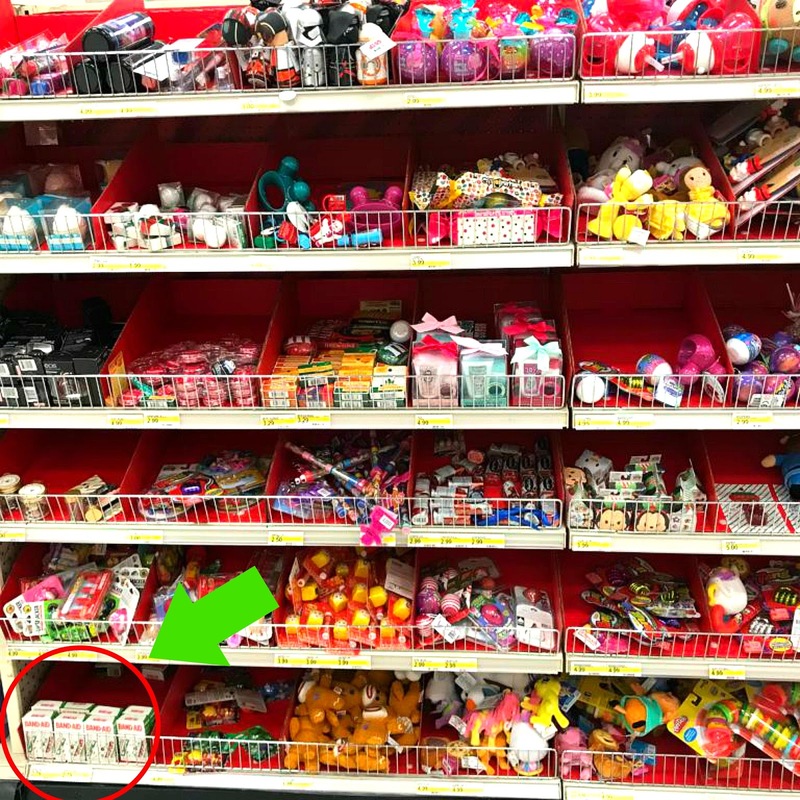 Also, don't forget to shop Target's sale on BAND-AID® Brand Adhesive Bandages this week if that's something you typically get for your kids!